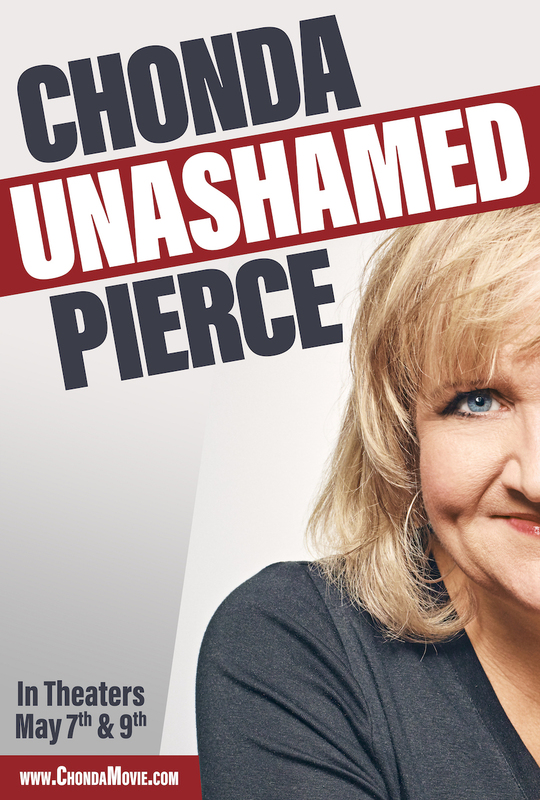 A stand-up comedian, television hostess, actress and author, Chonda Pierce has been making people laugh for more than two decades. With six Platinum DVDs, three Gold DVDs and five Daytime Emmy® Award nominations to her credit, she appears often on the internationally renowned Grand Ole Opry and is a regular contributor on TBN’s flagship weekly broadcast, “Huckabee.” Pierce is the Recording Industry Association of America’s (RIAA) best-selling female comedian of all time and has been ranked among Pollstar’s top-selling live performers. Fathom Events is the leading event cinema distributor with theater locations in all top 100 DMAs® (Designated Market Areas) and ranks as one of the largest overall theater content distributors. Owned by AMC Entertainment Inc. (NYSE: AMC); Cinemark Holdings, Inc. (NYSE: CNK); and Regal Cinemas, a subsidiary of the Cineworld Group (LSE: CINE.L), Fathom Events offers a variety of unique entertainment events in movie theaters such as live performances of the Metropolitan Opera, top Broadway stage productions, major sporting events, epic concerts, the yearlong TCM Big Screen Classics series, inspirational events and popular anime franchises. Fathom Events takes audiences behind the scenes for unique extras including audience Q&As, backstage footage and interviews with cast and crew, creating the ultimate VIP experience. Fathom Events’ live Digital Broadcast Network (“DBN”) is the largest cinema broadcast network in North America, bringing live and pre-recorded events to 1,010 locations and 1,628 screens in 182 DMAs. The company also provides corporations a compelling national footprint for hosting employee meetings, customer rewards events and new product launches. For more information, visit fathomevents.com. Director Rick Altizer and producer Kent Songer launched Fuseic Entertainment in 2002 as a developer of proprietary music, animation and film projects that encourage, edify and strengthen faith and belief for individuals and families. Fuseic Entertainment’s “Chonda Pierce: Laughing in the Dark” took home the Documentary Feature trophy at the 2016 Park City International Film Festival in Park City, Utah.